Remove make-up, cleanse skin thoroughly before applying eye masks. Allow the masks to work for 20-30 minutes. Gently remove masks, slowly massaging the remaining gold particles into your skin. For best result, refrigerate the eye mask an hour before application to experience the best stress relief result. Can be used at room temperature. ELIMINATE AND REJUVENATE-Stimulates and regenerates skin cells, dramatically elevate your own skins collagen growing ability. This will restore elasticity and firmness to your skin, and reduce wrinkles, puffy eyes, finelines, crows feet and the appearance of bags and dark circles under your eyes. 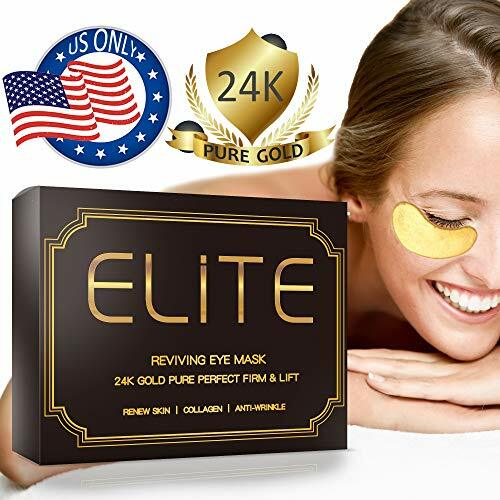 FULL TREATMENT IN EVERY SINGLE EYE PATCHS ¡V We promise we should give the best thing and good experience to our sweet customers ,so You feel sliding down when you start using the mask because we put much gel in every single eye patch ,Just 30 second for treatment to absorb ,after that should easy to stick on your skin. Jolie Anti Aging Derma Repair Complex Eye & Lip Intensive Treatment Serum 1 oz.